Showing policymakers real people’s stories helps ensure that these voices are heard. 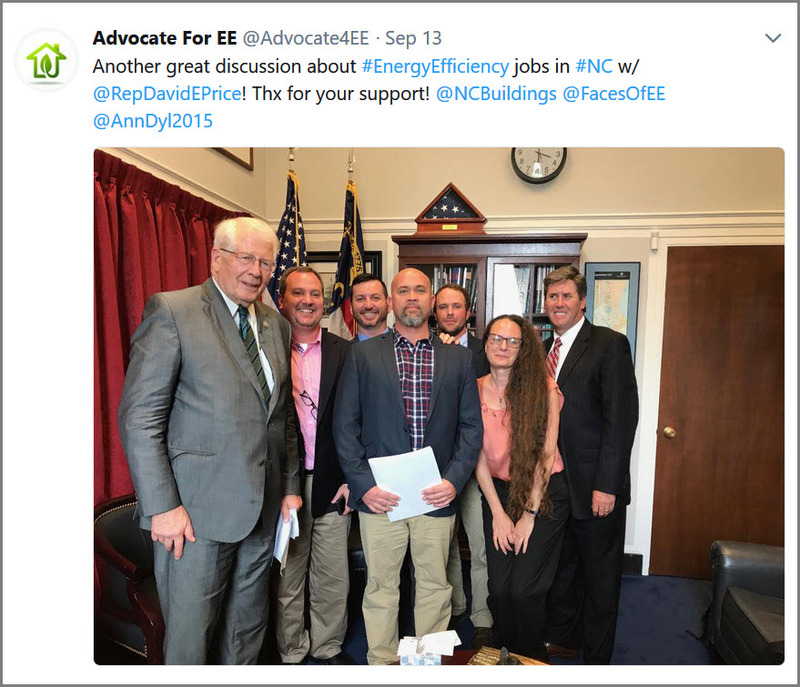 We also provide opportunities for EE professionals to meet with members of Congress to educate and advocate for smart energy policy. My team has begun setting up resources for you to use. Find your state. Get educational materials like fact sheets to bring to meetings. Tell us how you use them, and we can boost your signal. We also are happy to work with you to develop co-branded educational materials. A 2017 handout for Ohio. Download your state! 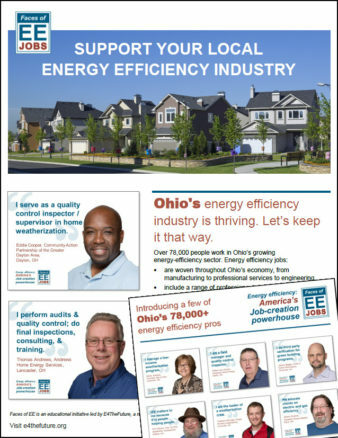 Consider joining the Faces of EE and help boost our industry’s signal. A 2017 visit, chronicled via Twitter. Need a webinar? Want to set up your own photo shoot? We can help! Visit our Faces of EE pages or contact policy@e4thefuture.org. This ethic is also deeply embedded in the daily life of myriad small companies and organizations delivering EE services and products. People know it’s all done for the greater good. Let’s work together to raise clean energy and energy efficiency in the U.S. Contact us today if you want to collaborate. Smart public policy helps everyone!